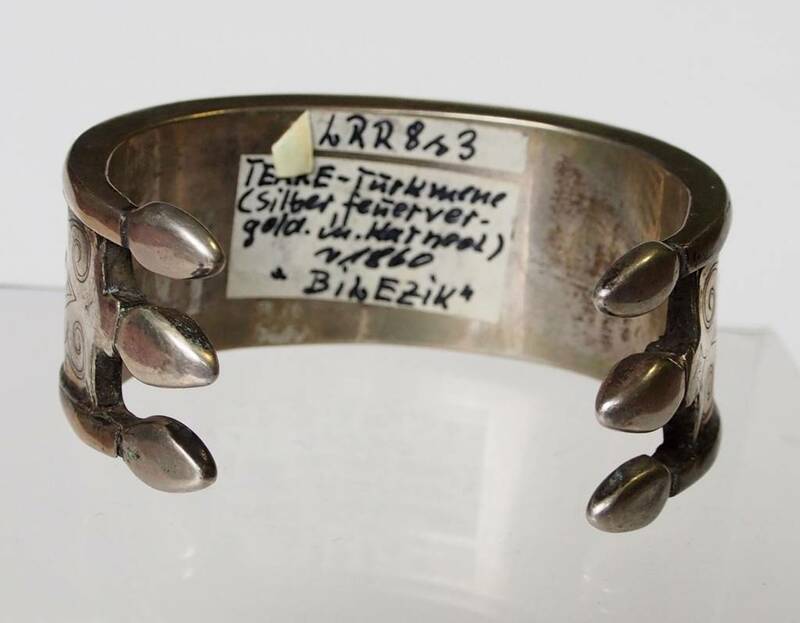 Antik Tekke - Silber Armreif Armspange Turkmenen Normadenschmuck Afghanistan. 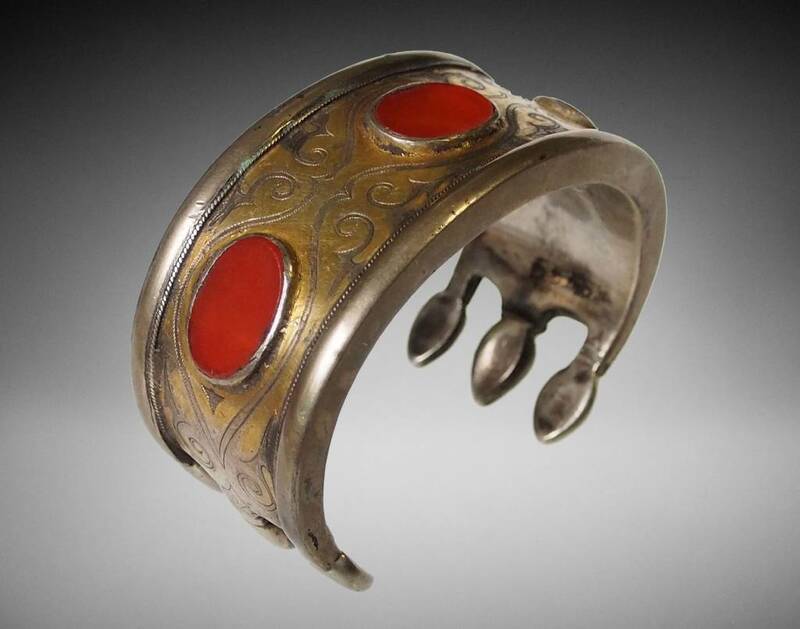 Bilezik“ ist der turkmenische Name für die getragenen Armreifen, sie sind auf einer Seite so weit geöffnet, dass ein Hineinschieben des Armes möglich ist. 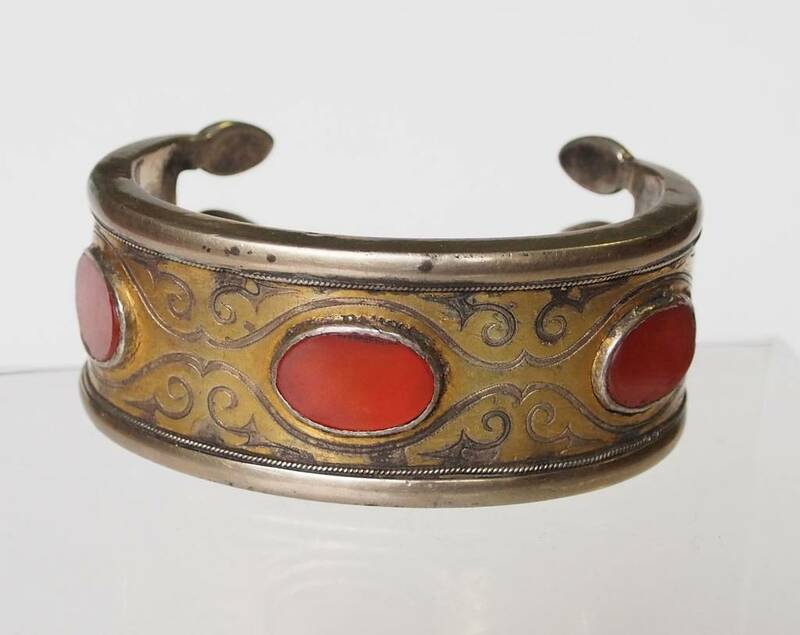 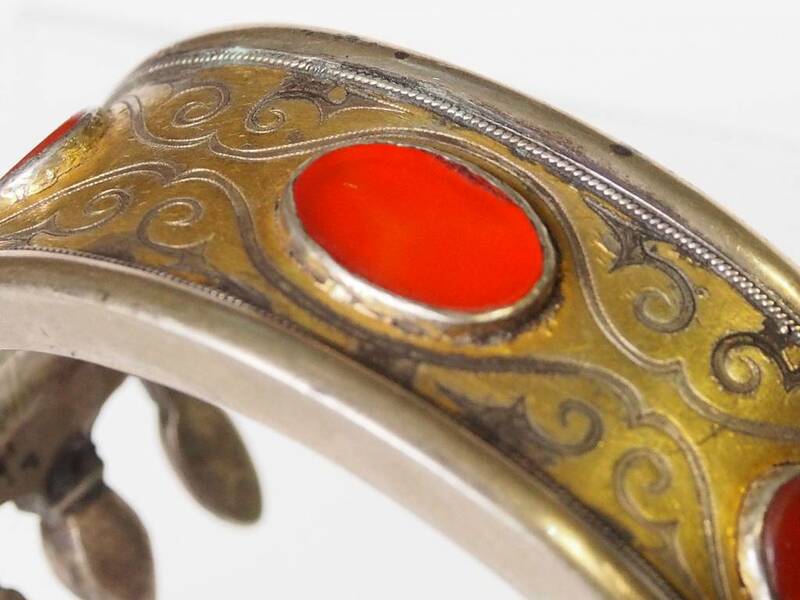 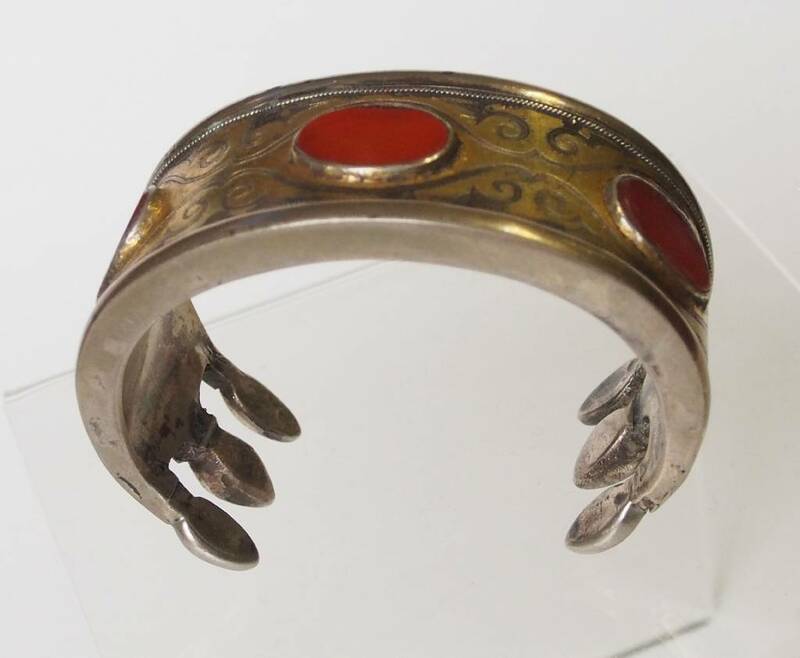 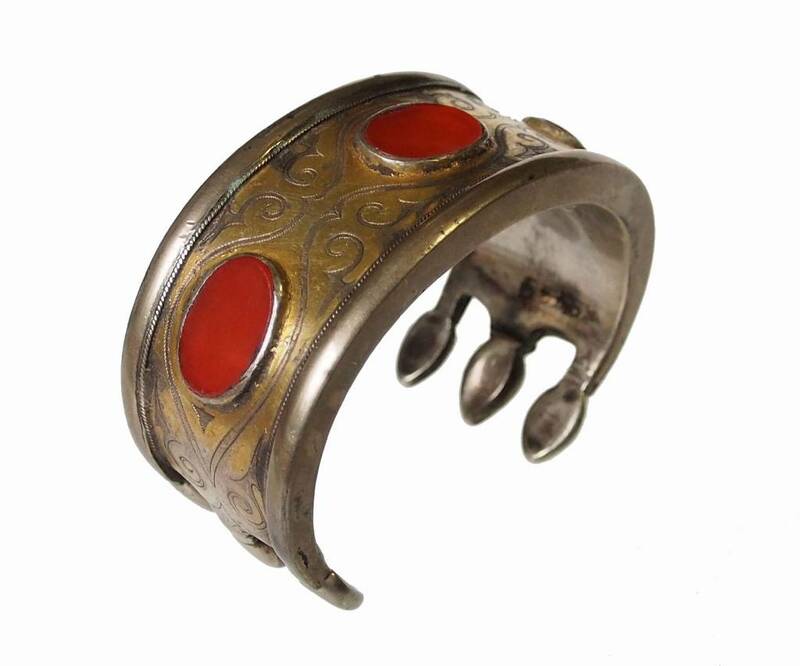 A beautiful antique silver cuff from the Turkmen tribe of the Tekke inhabiting Turkmenistan and neigbouring countries such as Afghanistan. 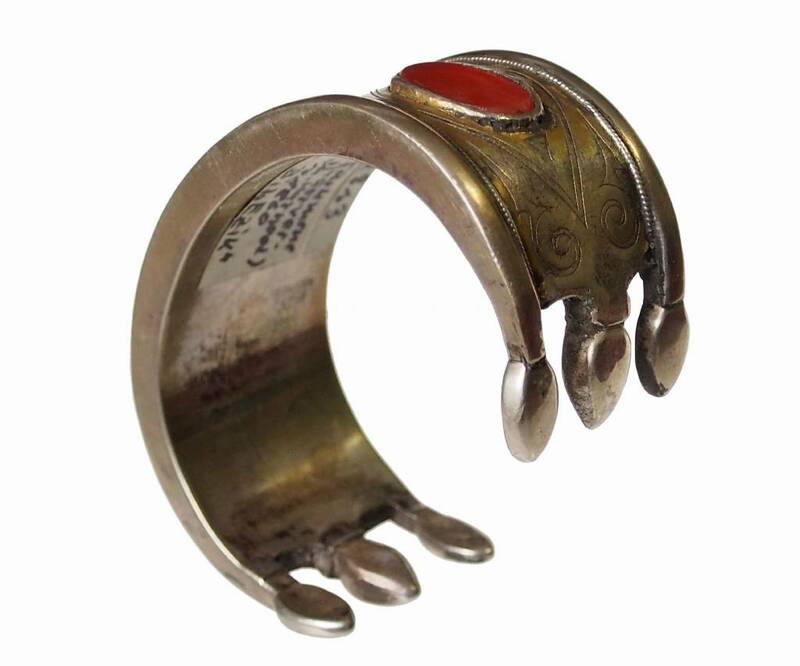 Its is ornated with carnelians and features a characteristic engraved decoration. 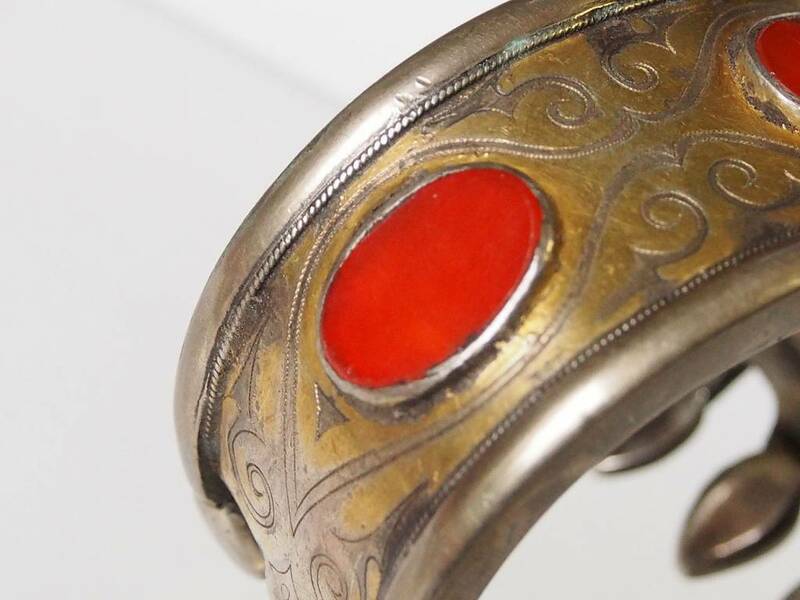 It shows some traces of fire gilding and a superb patina. 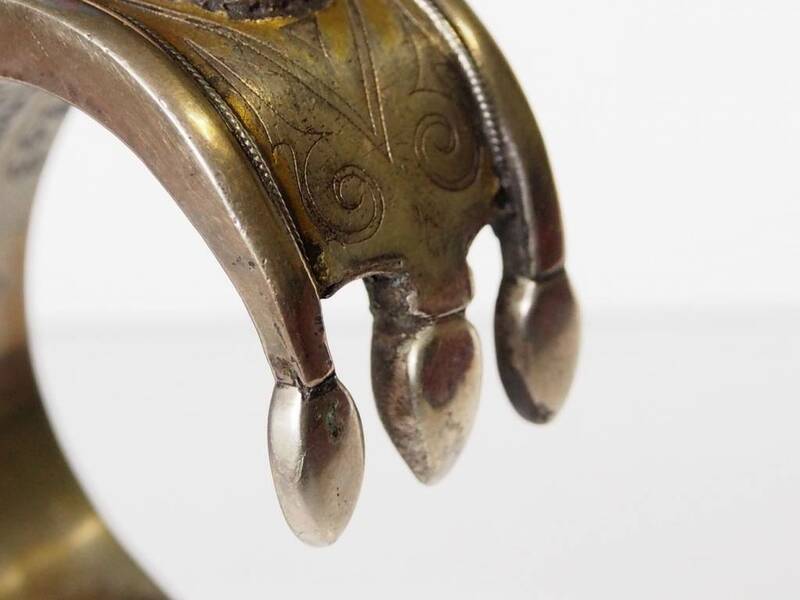 A piece full of character. 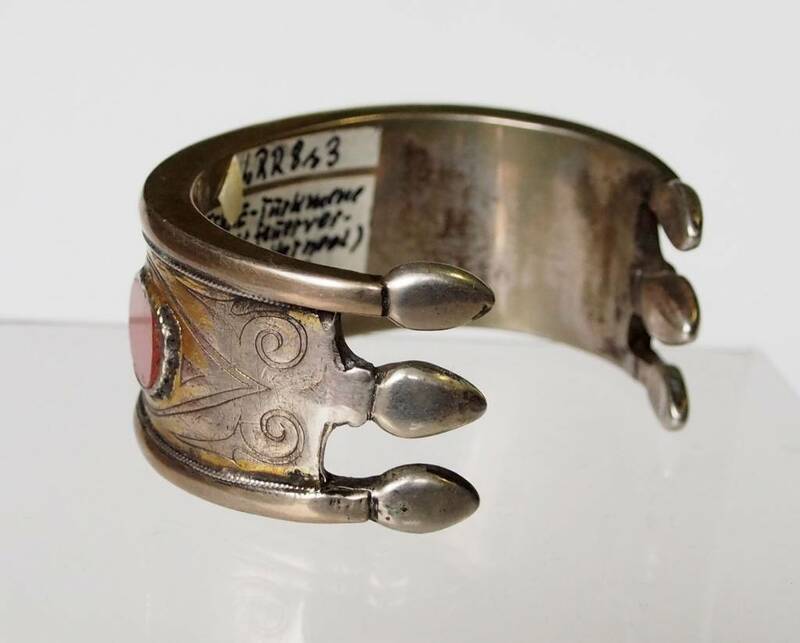 It does not bend much so please make sure it will fit your wrist!.